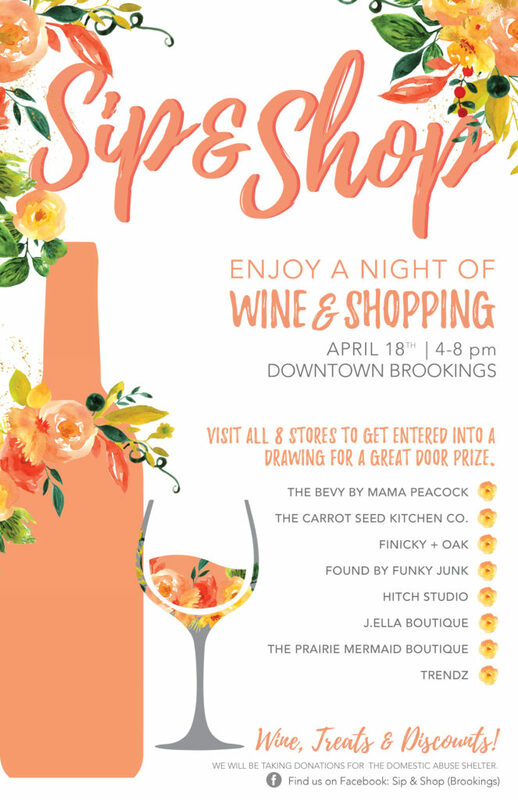 Grab your friends and enjoy an evening of shopping, sipping, snacks, and sales in Downtown Brookings, South Dakota at the Spring Sip & Shop 2019! 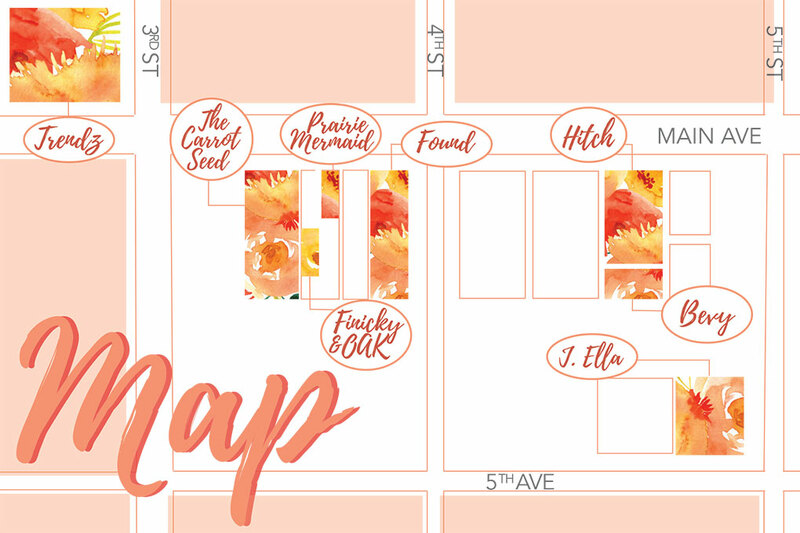 If you make a stop at all eight shopping locations on April 18 from 4-8 p.m., you’ll get entered into a door prize drawing with gifts from all eight stores! – The Carrot Seed Kitchen Co. The best part about this night? We’re supporting the Domestic Abuse Shelter with donations. Bring items from the list below and get entered into another drawing for a door prize! Thank you so much and see you on April 18th! Click here for more information about the Sip & Shop Spring 2019 event!